"AI" sensors linked to UAV systems. Smartdec is a perimeter guard / situation awareness system for use in remote areas. It allows to easily monitor and protect land border, coastal areas and remote locations. Proprietary low power mesh network. Supports up to 8 hops. Custom AI model analyses received images, classifies recognised objects, adds movement, direction and speed estimates. up to 400 days or up to 50 000 low thumbnail images with one battery charge. System sends Full HD images which are combined into video. It takes 2 minutes to install one Detector and one Bridge. Command centre software can be deployed in tablets/cars. Monitor alarms from wherever you want. It takes pictures of threats and sends alarms to the Bridge. The Detector includes a patented detection algorithm to analyse the threat. All battery powered devices come with a battery charger. Minimum time between alarms: 1 sec. User can define longer delay with the Handheld device. Memory: NAND Flash 8 GB. Capacity 2000+ pictures. Stored image size: 4 MB. Sent image size user configurable. Battery: Li-Ion 3.7V 10400 mAh. 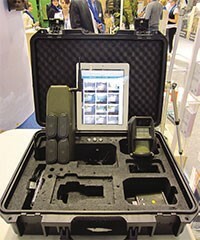 The device bridges the data communication between detectors and Mobile Command Centre. It is an autonomous communication device equipped with a battery, a Long Range Radio (GSM/CDMA) module for communication with MCS and a Short Range Radio (2,4 GHz) module for gathering data from detectors network. One Bridge supports up to 8 Detectors under average conditions (GPRS/EDGE/3G/3.5G/LTE/CDMA). Radio: GSM/GPRS/EDGE/UMTS/CDMA/LTE. 850/950/1850/1900/2100 MHz . Secure end to end encryption. 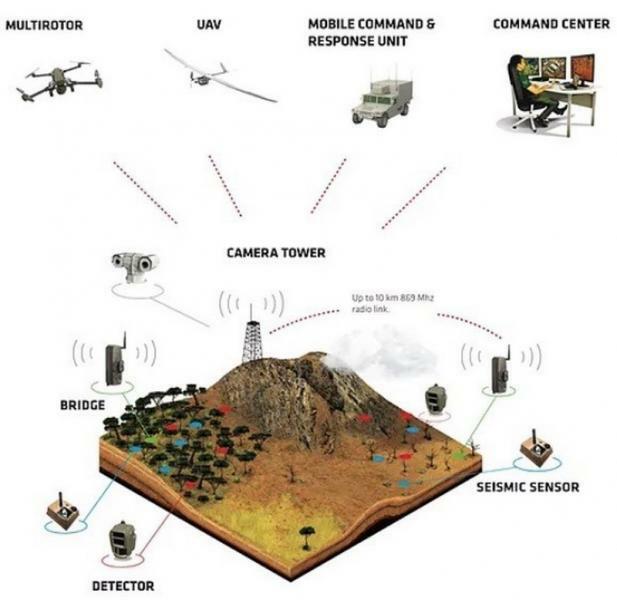 Transportable camouflaged mobile tower, up to 25m/80ft available as part of Smartdec Shield and is integrated with Detectors, Command Center software and UAV missions. Mobile Tower is equipped with solar panel or generator and is weatherproof. 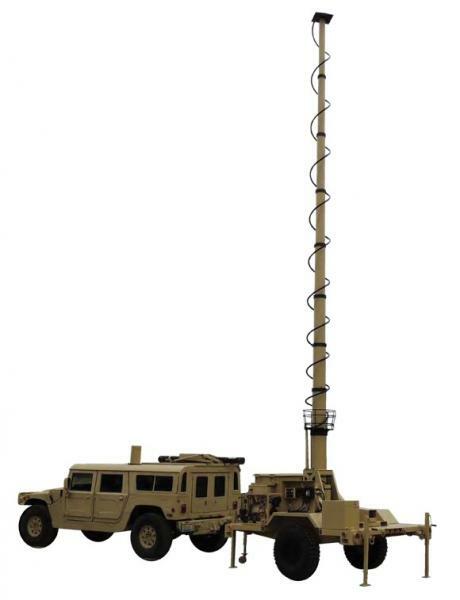 Mobile Tower has EO/IR camera and ground radar for detecting vehicles 15km and humans 8km. Laser rangefinder is up to 8km. Customized requirements are available on request. Mobile command center is portable, equipped with electricity (solar or generator or batteries), AC, up to 2 seats with computers and radio link to Detectors and radio link to HQ. Easily relocatable with small truck and rapid installation in desired location. Camouflaged and weatherproof special container is mobile command center. Heart of the Command Centre is a browser-based software application with an AI module. The AI module classifies alarm images into predefined categories (e.g. person, car, truck). The electronic border guard system is designed for green border areas such as hot spots in forests. It is also well-suited for mountainous and desert areas. The wireless and long-lasting battery powered system tracks intruders and movements along border roads and footpaths. Rapid installation and relocation make it possible to respond efficiently to changing operational conditions and to apply the system in high speed operations. The system aids border police interested in reducing smuggling, and increasing tax revenue, capture human smugglers, detecting border trespassers, and controlling immigration. Smartdec is an ideal border guard solution for detecting intruders in border areas far away from border checkpoints and stations. 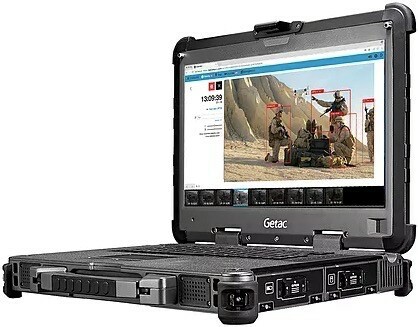 The Smartdec system can be used to gather information from sites that need to be monitored remotely and it can assess threats from a distance. Smartdec makes it possible to gather data more effectively, more rapidly, and from farther distances—and it does all this without putting lives in danger. The Smartdec defense system makes reconnaissance and intelligence in an open terrain scenario more effective and as a result reduces risks and saves lives.